Hitting the water on a kayak might sound like a good idea, but what if you get lost? Well, if you’re planning to enjoy fishing on large lakes and open oceans, finding your way around may prove a major challenge. Things can actually get worse when it gets dark or begins to rain. Fortunately, if you have the right GPS system with you, you can always trace your way back. In full, the acronym GPS stands for Geographic Positioning System. And its main job is to help you find your way around places or regions that would otherwise be tricky to navigate through. Just to make sure you fully understand what it means to navigate the unknown world with a GPS, here are a few take-home pointers. Basically, if you’re able to find a handheld GPS for kayaking that meets all those requirements, you’d be in a good position to enjoy the ride. To make the job much easier for you, we’d like to share a list of the top 10 affordable fishing GPS systems available. Hopefully, that will help you make a solid choice, fast. Whether you like them fancy or simply functional, the following comparison chart will come in handy. But for a detailed analysis of each GPS system, we’d suggest reading the detailed reviews below the table. Garmin 64 is a good kayaking GPS because it is rugged and water-resistant. It features a color display 2.6" screen display size that is sunlight-readable. 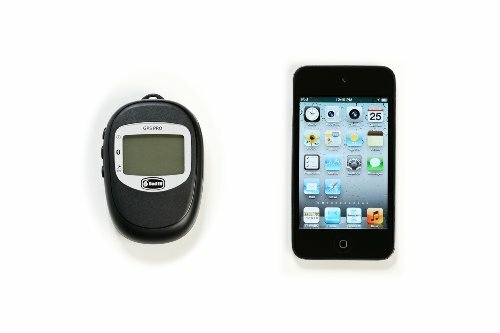 The GPS weighs 8.1 oz with batteries. The GPS has an internal memory of 4GB, enough for storing all your trip data. It comes with a quad helix antenna with a high-sensitivity GPS and GLONASS receiver. It is preloaded with 250,000 caches from geocaching. In addition, it has a dual battery system, namely traditional AA batteries or a rechargeable battery. 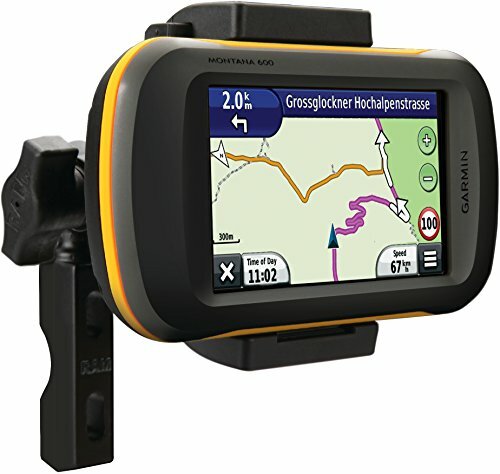 There are about six models in the Garmin 64 GPS’s to choose from. Model one is the base model, Model two to model six have extra features that the base model doesn’t have. Some of the highlights include Bluetooth, camera, with slipcase among other features. Each model is priced differently with the base model being the most affordable. 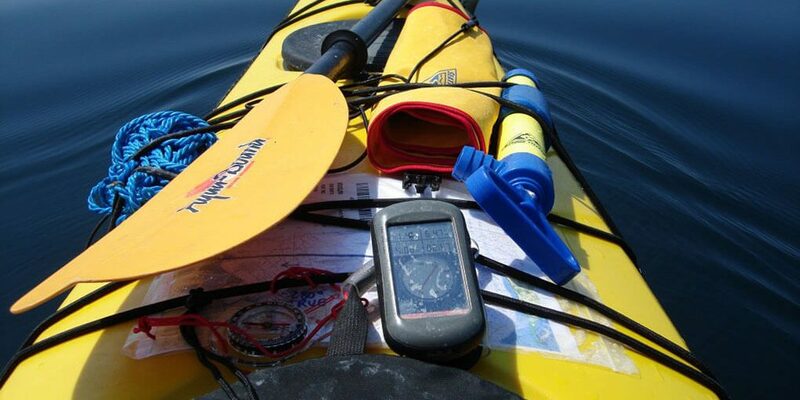 Investing in a kayaking-friendly GPS system makes the difference between a good and excellent expedition. 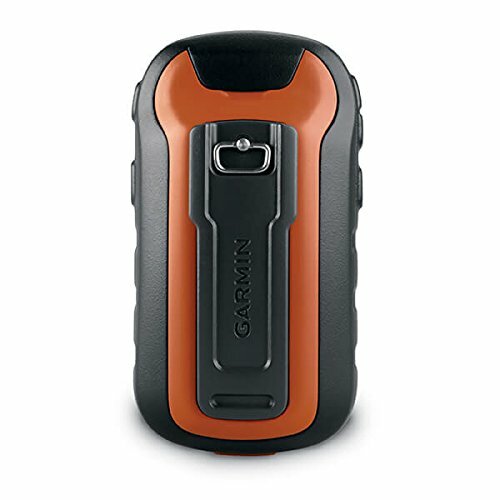 Garmin Oregon 600 is quite a performer, helping you to get accurate bearings and therefore it is not easy to get lost. The GPS uses the dual-band GPS/GLONASS satellite receiver for connectivity, mapping, and positioning, consequently, it has high-sensitivity. In addition, it has three sensors namely accelerometer, 3-axis compass, and barometric altimeter. Besides that, it has a 3-Inch, sunlight readable, touchscreen with multi-touch features. The GPS uses a dual battery system, meaning it is powered by 2 AA batteries and rechargeable batteries. There are three models of the Garmin Oregon GPS. We have the Base Model, then the one with topographic maps and digital camera. The three models are priced differently. DeLorme inReach Base Model is a perfect rescue and communicator GPS. In addition, the device will allow you to keep in touch with your fellow kayakers and family at home, with its journey tracking and sharing features. It is a one-hand operation device, with a color screen and long-lasting battery. It has global network coverage using the Iridium satellite network. It can be paired with your phone for more advanced features. The satellite communicator comes with location sharing, SOS functions, GPS navigation and text messaging. Worth noting is that the satellite communicator requires a subscription to a service provider. Delorme inReach series has two models, the Base model and the model that comes with navigation features. The Base model is cheaper. Satellite communication, with two-way messaging and a message delivery confirmation feature. Global network coverage using the Iridium satellite network. 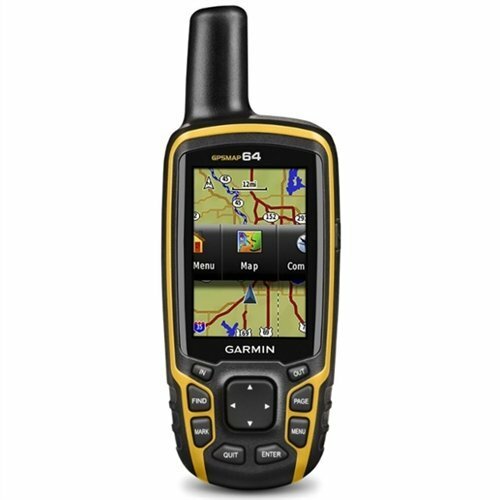 Are you looking for a budget-friendly, functional and kayaking-friendly GPS? Garmin 10 GPS is a very cheap GPS with waterproof features of IPX7 waterproof standards. Its body has a rugged construction. It has a 2.2-inch monochrome screen display. Though the display resolution is small, but this GPS is easy to read and adjusts its readability depending on the lighting conditions. It is a WAAS-enabled GPS receiver, with GLONASS and HotFix for a reliable signal system and quick positioning. The GPS supports paperless geocaching and spine mounting accessories. Bad Elf-2200 GPS is a unique unit that comes with the amazing feature of being able to be connected to iOS devices(up to five) simultaneously using Bluetooth wireless technology. This includes iPhone 5, iPad, iPad mini, and iPod touch 5th generation. You can utilize the feature when you have a kayaking group that needs data tracking and basic GPS functions. The GPs has a 2.1" screen size and provides basic GPS route tracking, and data recording functions like location, speed, altitude. You can mark a point of interest(POI) on your trip, then transferred to your iPhone, for sharing with friends or fellow kayakers. It is only resistance to IPX4 water standards. The battery has a long life of 16hours when in Bluetooth mode and up to 35 hours when operating in simple data logging mode. Garmin-Montana 600 has remarkable features that will enhance your kayaking experience. 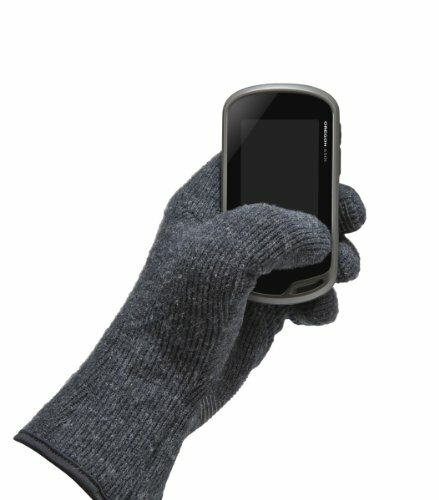 It is designed with a big 4" touchscreen sunlight readable, glove-friendly color display screen. The GPS uses WAAS-receivership and HotFix satellite prediction for high-sensitivity, enabling you to maintain information on your precise location even in heavy cover. It has a three3-axis compass for accurate location data, in addition, to a barometric altimeter for monitoring the weather condition, indicating altitudes and barometric pressure. It supports multiple mapping options. Therefore, enhance its features by subscribing to BirdsEye satellite imagery or City Navigator NT® mapping software. For your convenience, it has a dual battery system. You can, therefore, use both rechargeable batteries and traditional AA batteries. Besides that, you can share your outdoor fun using waypoints, routes and geocache locations thanks to its ANT wireless communication technology. 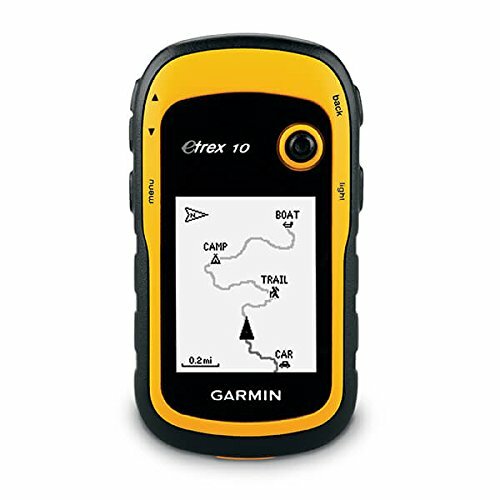 Garmin-eTrex 20x is an affordable GPS unit that comes with solid features ideal for a kayaking expedition. It is the best handheld GPS for fishing because of its advanced features. You can use it to mark waypoints, follow a previous route or track your progress including time, speed, distance. It is quite a small device and therefore easy to carry and use. It weighs only 0.31 lb, and its dimensions are 4 x 2.1 x 1.3 inches. It is also sunlight readable. It has a good resolution of 240 x 320 pixels. In addition, it comes with a 3.7 GB internal memory capacity, with a microSD card slot in case you need extra storage. The GPS is a WAAS-enabled receiver, supported with GLONASS and Hotfix. It is therefore highly sensitive to indicate your precise location. When you buy the unit, plan to add free or subscription maps, because it comes with only a base map when new. The loaded maps help in navigation. 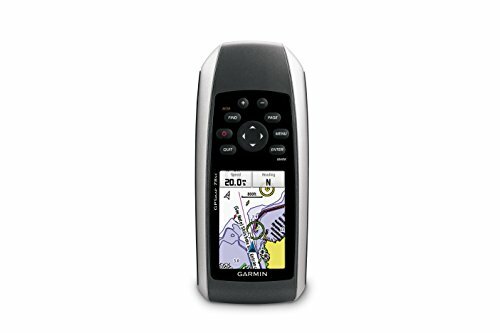 Garmin-78sc is a kayaking-friendly GPS system and will suffice if you get exposed to water whenever you are outdoor. It has IPX7 waterproof standards. In fact, it is designed to float in water. The GPS is ruggedly built and has molded rubber side grips. It is therefore perfect for kayaking, fishing, boating, and other water sports. The device comes at a medium price. It has a 2.6-inch color TFT display. The GPS features a barometric altimeter and a three-axis compass. In addition, it has a high-sensitivity receiver. The GPS comes already preloaded with USA coastal charts, in addition, It has enough memory, just in case you need to add more maps. It also has a feature for connecting with other compatible devices. Therefore you can easily share routes, waypoints, tracks or geocaches with fellow kayakers. 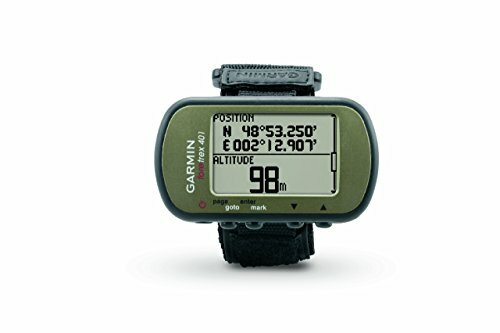 Garmin Foretrex 401 is a very budget friendly GPS unit that has a unique feature of having a wristband. Though it has a small display screen size, the LCD screen is easy to read, and you still get all the essential information you need for your trip. It has a barometric altimeter and electronic compass. It features HotFix GPS receiver for high sensitivity and good reception even under deep canyons or heavy trees covers. It keeps track of waypoints, tracks, routes. Therefore, it is hard to get lost when you have this GPS. It indicates the track traveled in a dotted line on the screen. It also has a trackback feature to help you find your way back. In addition, it has a special heart rate monitor feature, though it is sold separately. The GPS uses AAA batteries, which have up to 17 hours of battery life, if your trip is longer, this can be limiting. Garmin-Montana 650t is a handy multi-purpose GPS unit designed to serve you in your outdoor escapades like kayaking and in your day to day home or motor vehicle use. The GPS is WAAS-enabled, coming with good receivership. It has a BaseCamp feature which comes with preloaded USA topo maps. BaseCamp is a good trip planning software that enables you to view maps and organize maps, routes, tracks, waypoints. The information is also shareable with friends family and fellow kayakers. It can be paired to work with BirdsEye Satellite Imagery. The GPS has 3.5GB internal memory. In addition, it has a touchscreen color-mapping feature. You can view the 4-inch screen in landscape or portrait screen modes. All the functions in the GPS are easily accessed by scrolling through the home screen menu. Menu options include set up, trip computer, camera, 3D view, photo viewer, geocaching. 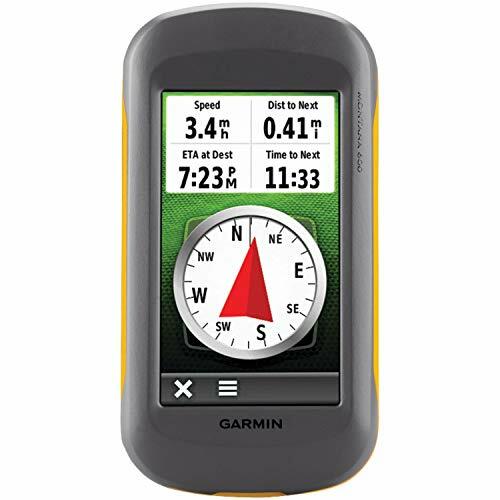 Other features in the GPS include route planner, waypoint manager, a calendar, preloaded maps, a barometric altimeter, and a three-axis compass among others. Though the device is a little pricey, you will appreciate that it has an inbuilt waterproof 5-megapixel camera. Want to save money buying the latest GPS device for your kayak or boating trips? Always remember the following. Since you’ll be using the GPS system on water, it’s important to prepare for the possibility of accidental splashes or rain. And for that reason, only go for a device that is designed to be completely waterproof. In particular, you should think of getting something that’s at least rated IPX7 water resistant. That level of rating basically means that the device can be immersed up to 1 meter under water for 30 minutes. With such a high rating, you can confidently face the oceans and lakes fully assured that your GPS system will survive against all odds. The larger the display size, the easier it would be to read the screen. Basically, the size of the display is measured diagonally i.e. from corner to corner. If you’re comfortable carrying a small device around, then a 2-inch screen would certainly be a great find. Otherwise, larger screens tend to measure in at around 5 inches. Typically, you’ll need to mount your GPS some 1 or 2 feet away from your face (on the deck). Therefore, you want to steer clear from the extremely small screen as they’d be difficult to read from that distance. The sole purpose of a GPS is to help you track your location so you can safely get home. And as we all know, nothing is as frustrating as having to follow some poor directions. Although GPS devices were initially developed to use over 31 satellite signals to track locations, it’s important to find some add-ons. GLONASS, for instance, is a Russian technology that greatly improves accuracy. Then there’s the WAAS which comes in handy in eliminating any errors to your GPS readings. And so, forth. Basically, the higher the technological advancements on your device, the more accurate it’s likely to be. It’s always difficult to settle on the best GPS system especially with so many wonderful choices available. But even then, we’d like to single out the inReach Explore Delorme AG-008727-201 as a pretty decent device. Not only does it provide you with well-made maps but it also comes with a 160-character text message tool. This can come in handy especially when you need to trigger an SOS. However, if you’re looking for a basic system that is enough to support you at all time, the Garmin eTrex10 GPS would be a great tool. It also has IPX7 waterproofing standards in addition to providing you with long hours of battery life. One thing we noted is that most GPS devices reviewed here come with more than the usual navigational features. For instance, you can find handy SOS messaging features as well as tools to monitor your speed. With all these additional features, it’s up to you to take full control of your fishing trip. So, we hope that the tips and tidbits provided regarding the best kayak GPS will help improve your overall experience.